RICHMOND, VA – Traditions and heritage are extremely important to Anthony Simonetti. Growing up in The Bronx among an Italian-American family, he remembers keenly the things that his friends and family would do that were homage to his Italian heritage. One of his fondest memories and something which he still participates in today is Sunday Dinner – the time every week when friends and family gather around the dinner table to share a good meal while connecting with one another. It’s one of those quintessential traditions that people all over the world can point to as a marker of the Italian heritage. As a musician, Simonetti – who goes by the stage name Siciliano – wants to capture the emotions that come from moments like that and celebrate the elements of his Italian heritage that he loves and for which he is so proud. But unlike many from within the Italian population, he’s choosing to do it with hip-hop music. That unique sound and style is displayed perfectly on his new album, “Sunday Dinner.” It’s a project that was born from his desire to capture elements of his heritage and pair it with sounds inspired by some of the greatest musicians along the East Coast. 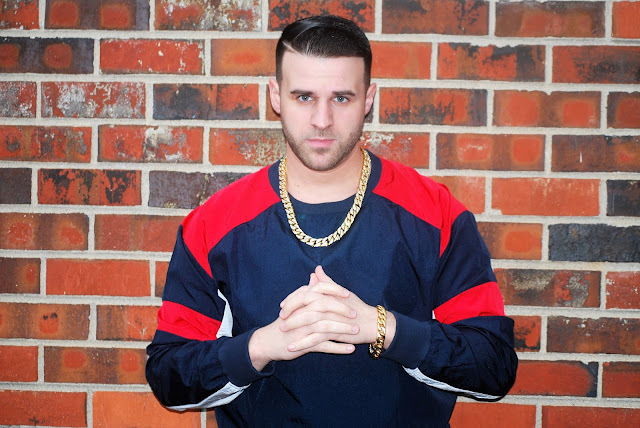 The album features a number of artists from Richmond, and even has two tracks on which Siciliano is more of a feature than the main artist. But bringing people together through music is what he wants to do with his career, not only because he knows it makes for great music but also because it’s a nod to what the Italian tradition is all about. The debut single on the album, “Replay,” features producer Keith Blvck who Siciliano said is one of his favorite musicians to work with. It’s a song that the two of them recorded in one studio session in one of those moments where everything comes together easily and “the magic just happens.” It’s a song about living his lifestyle and how the things of life are so good that you want to put them on replay and live them over and over again. A music video for the single is in the works and should drop by May. He’s also working on music videos for the singles “At The Party” and “Too Hard On Em.” Siciliano also said there’s a potential for a smaller EP to drop later this year but right now, he’s focusing on promoting “Sunday Dinner” and showing off his unique skills to the world.